The Interclub Council (ICC) met Tuesday, March 26 to discuss new changes and additions regarding club week and club functions. 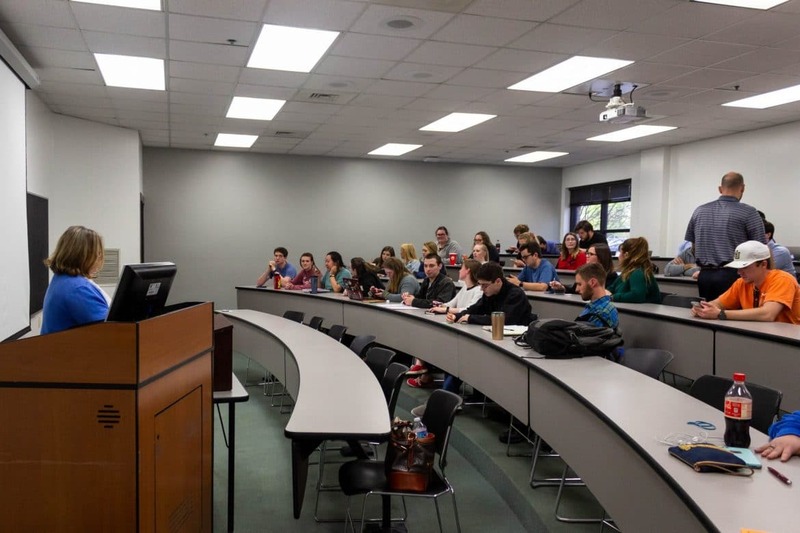 The ICC, consisting of club presidents and vice presidents who meet on a weekly basis, met with Kara Abston, assistant dean of students, for nearly two hours. The first change was to the induction ceremony process on Sunday nights of club week. Induction ceremonies must be held between 7 and 10 p.m. instead of lasting until curfew. Another change sought to eliminate Wednesday night activities from the schedule completely; however, after concerns from social club members, student life deans adapted the rule to allow for an hour and a half of Wednesday night activity, which must be spiritual or devotional in nature. Clubs must also end their Friday night activities at curfew and may not sign out for an overnight stay. In addition to these club week changes, special attention will be emphasized in the following ways: no running excluding athletic events, only 15 minutes of club activity allowed after All-Club Devotional and no activities in the dark or rain. While mandatory breakfast participation had been previously discouraged, student life deans now plan to enforce the no-breakfast policy, and in lieu of breakfast, clubs will now have scheduled dinner times in the evenings. Abston said these changes are occurring because of constant analysis. She said the deans are always looking at what goes right for clubs and what needs improvement. Abston said the club week changes are also a result of feedback from faculty and club sponsors. Clubs are now allowed to leave the state for a function with permission obtained by the Office of Student Life. In addition, each social club is now allowed four major functions per year instead of the previous three. Noyes said he believes club week is something everyone looks forward to every year, but that may fade if changes keep happening. “By taking key club aspects away and refusing to listen to what the majority of the students actually believe regarding what makes campus social life great, the administration very well could be hurting the ability to make real relationships happen here on campus,” Noyes said. Senior Emory Rockwell, president of women’s social club Chi Omega Pi, said her club has a prayer walk and testimony on Wednesday evenings, and the new time restriction will keep them from fitting in both. The function changes have fostered a positive attitude among club presidents, vice presidents and club members, but the club week changes are inciting different feelings. Rockwell said she was frustrated by these changes. Rockwell also fears these changes will have an effect on the future generation of students that join clubs. Senior Logan Foshee, president of men’s social club Lambda Chi Theta, said restricting Wednesday night of club week will hurt his club the most. He said Wednesday night is one of the most important nights of their club week. Lambda Chi Theta previously used the entirety of Wednesday night for a devotional that brings the club and inductees together. “That night involves some of my fondest memories at Harding because I feel like that’s when [inductees] see they have a brotherhood that loves them,” Foshee said. Foshee said club week is stressful for both inductees and non-inductees, but he believes that social clubs are worth the stress and the effort. Neal said they will continue to focus on committing to service, being Christ-like and welcoming new members. The new changes will be effective fall 2019.